TOPIC: Proper use of "CFX_ColorLUTDst" LUT/Color Palette? First of all, excuse me if this isn't the right place to be posting this, but I honestly didn't know where else to put it. So here's the thing: I'm NOT using Framework. I'm using the lastest ReShade+SweetFX the old fashioned way, by editing the .CFG files. I only use this for FIFA 16, since I don't play any other games. SweetFX settings: SMAA, FXAA, DPX, LIFTGAMMAGAIN, TONEMAP, VIBRANCE and CURVES. 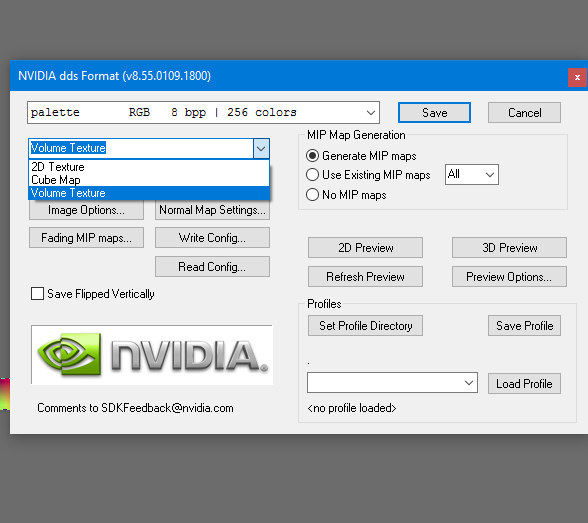 CustomFX: GAUSS, TUNINGPALETTE to activate CFX_ColorLUTDst (256x16 image) and COLORMOD. 1- Take an Ingame Screenshot with all the above settings enables, except of course the TUNINGPALETTE one. 2- Opened that Screenshot in Photoshop, then placed the default/original CFX_ColorLUTDst.png image on a layer on top of that screenshot,and finally edited that image using masks. Basically just HUE/SATURATION. 3- Finally, Saved the new CFX_ColorLUTDst.png with all those changes. And enabled the #define USE_TUNINGPALETTE string in the CustomFX_settings.cfg file. Again, the texture is a 256x16 image. However, and this is the actual problem: ingame it doesn't look exactly as I see it in Photoshop. Some colors look either brighter or darker, or simply different. Not TOTALLY different, but enough to be noticeable to me. So there must be something wrong with the procedure I'm following. Or perhaps there's something wrong with how I set up the TuningPalette sector of the CFG file. I hope you guy can tell me the right way to do this. I want to keep all the settings AND use the CFX_ColorLUTDst.png to achieve the same result I see when I edit the Screenshot within Photoshop. I read somewhere (I'm sure it was on these boards), that the right method is to have the default texture to be loaded and shown up ingame AND THEN take the screenshot one will edit in photoshop. I don't know if I understood that correctly. And even if I did, I wouldn't know how to do that. There's not a single soul that can teach me how to load the LUT I created from the Mediator? What to enable, what to disable, the proper values (1.00? 0.100?) in order to see it exactly as I do when I edit the LUT in Photoshop?. I've search through these boards, on YouTube, on Google... can't find any Tutorial. That's why I'm bothering you, guys! Leave this to 1.00 if you want to use the effect 100%. Now for creating the actual LUT file. 2. a screenshot (I recommend multiple screenshots since you might change a colour that is not present in one of the sreenshots and therefore you won't notice the change until you actually come across that color while playing the game). then you can start using adjustment layers to get the desired effect (NOTE: not all the effects that you can use in Photoshop can be reflected in a LUT file, I learned this the hard way using Lightroom. For example the setting "Clarity" cannot be reflected in LUT files and will therefore be ignored). What you want to do is add adjustment layers to change the screenshots to get the desired effect (for example more contrast or de-saturate some areas/colours). Last Edit: 2 years 7 months ago by Kuniyo. Indeed... unforunately, it's impossible to have exactly the same result as in Photoshop. Adjustments like "Levels", "Color Balance", etc doesn't seem to get along with LUTS very well. I have been having better results when using Color Balance with a larger file. When I do use it, the LUT will give very different results based on monitor's (especially when comparing TN to IPS). I don't know if it's supposed to work like that (with a larger LUT file) but I'll stick with it since it seems to work a bit better. Last Edit: 2 years 6 months ago by Kuniyo. Reason: forgot some information. Sorry to bring this back up but I have a small question regarding LUTs.